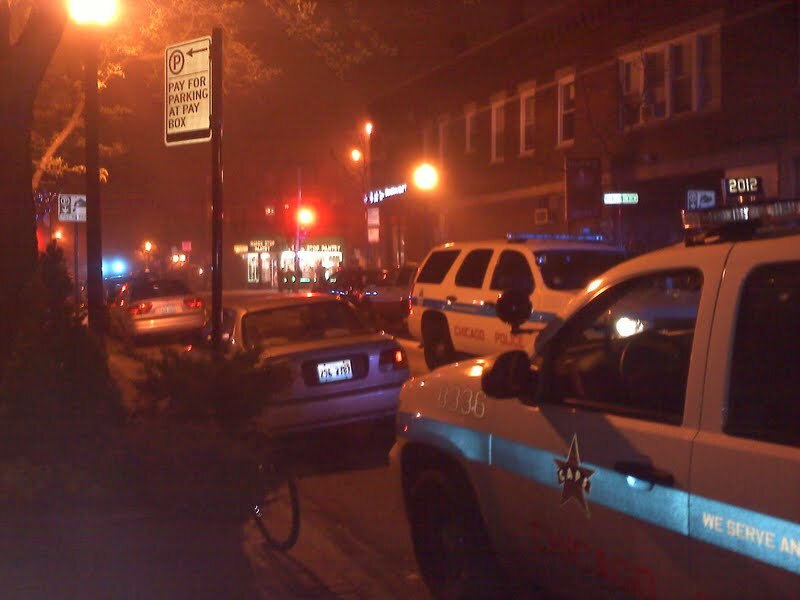 Police action in Andersonville last night Reviewed by Edgeville Buzz on May 21, 2011 . This was the scene just west of Clark on Balmoral last night as we arrived in Andersonville. There were several police cars with lights flashing and officers conversing. A few small groups of people had gathered, and we were told that an intoxicated patron of Marty’s bar had been asked to leave. When he refused, the police were called to intervene. The man then proceeded to get into an altercation with them, reportedly striking or punching one of the officers. It appeared things were wrapping up by the time we showed up.